Hi everyone! I go to school with Emily and, apparently, she “likes the way I dress” – at least enough that she is going to let me pollute her blog with a few words and photos from our day in Washington. 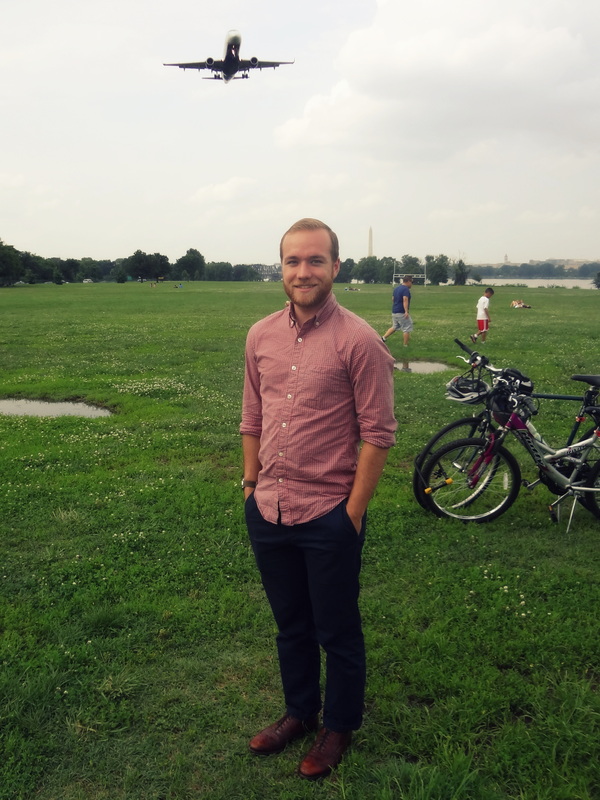 I know you’re all big fans and have read her post OOTD: Gravelly Point Park in DC. She did an alright job with that outfit, I guess. I know this is my first ever fashion blog post and I’m new to this and all, but even I wouldn’t write this while drinking a terrible IPA and watching Mean Girls. I’m not sure why you assumed that. 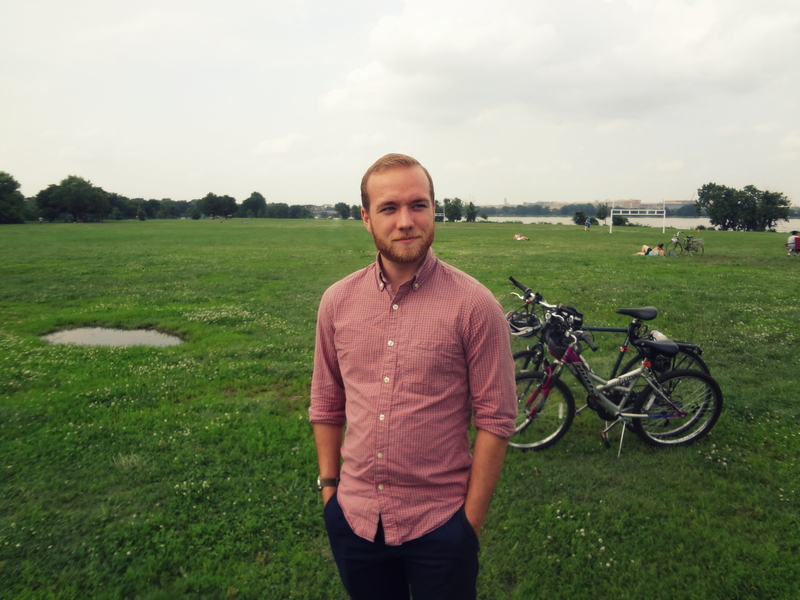 Here’s what I wore to our day of a classic 14th Street brunch, the Air and Space Museum, some adventures at Gravelly Point Park, and a viewing of Carli Lloyd singlehandedly embarrassing the entire country of Japan – or at least their women’s national soccer team. I got reaaaaal creative and experimental with this one as you can tell. This is a pretty standard casual outfit for me. Tuck in the shirt, add a belt, and you’ve got my work outfit – leave it untucked and I’m stuffing my face with a Ben’s Chili Bowl half-smoke at 3 in the morning, or watching planes land with friends. A quick note on those shoes: if you’re as frugal as I am and have a high tolerance for something that is kind of disgusting, those shoes were purchased in nearly new shape on eBay for about $140. They retail for $385. 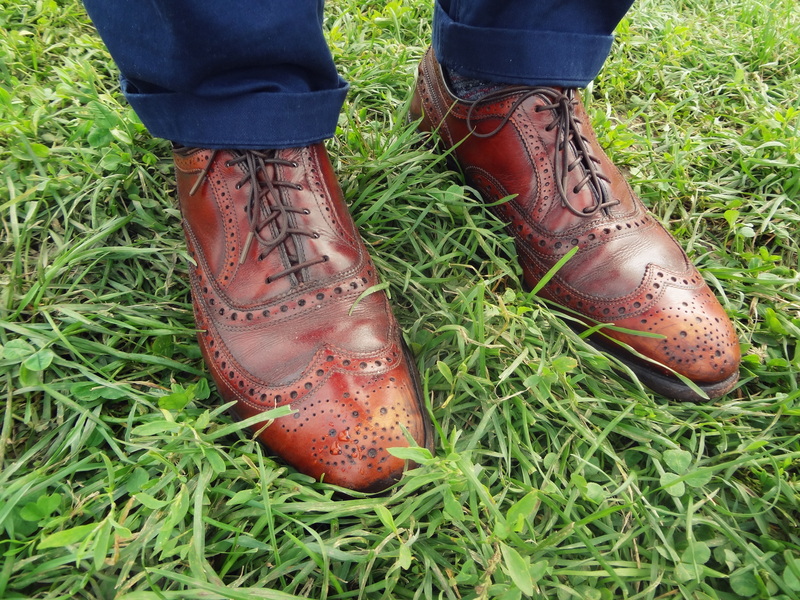 If wearing someone else’s shoes disgusts you, congratulations – you’re not super weird. 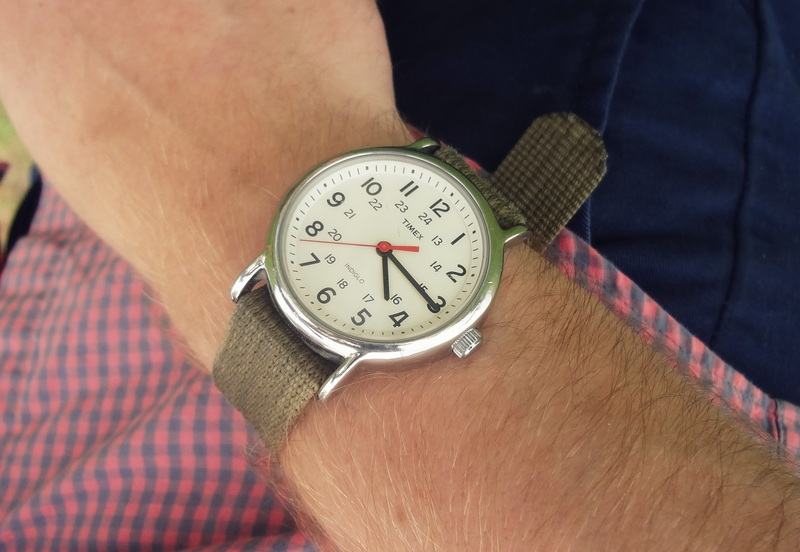 The Timex Weekender is a really great unisex, minimalistic, frugal watch. To top it off, different color NATO straps can be had for less than $10 if you’re feeling a change. We could have planned this photo better by taking it 5 minutes later. And that about does it! Huge thanks to Emily for inspiring me to get involved in the blogging world and allowing me to put my words out on her platform! If I only bored you a little bit, feel free to check out some of my stuff on Instagram @a_stem_yuccie! Try This: Rocksbox Jewelry Subscription! What a great look. A washed oxford plus slim chinos is the ultimate no-fail urban look. Great job Michael!